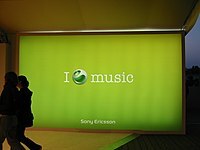 ^ "Sony Ericsson signs Sharapova as global ambassador". Retrieved 2018-01-02. 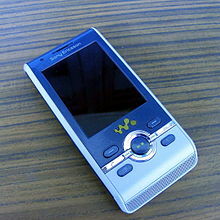 ^ "Sony Ericsson to make phones in India". 2007-01-31. Retrieved 2018-01-02. 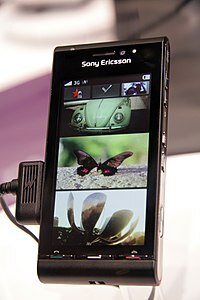 ^ "Sony intros 5" Xperia Z and Xperia ZL at CES". 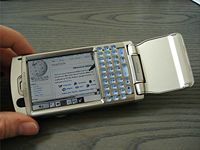 Techweez. 2013-01-08. Retrieved 2018-01-02. ^ "Sony Xperia Z vs Sony Xperia ZL: waterproof vs compact flagship battle". Android Authority. 2013-01-24. Retrieved 2018-01-02. 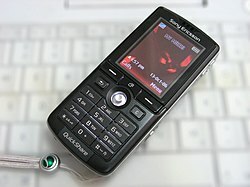 ^ "Sony to replace the President and CEO of its Mobile Communications branch". Phone Arena. Retrieved 2018-01-02. 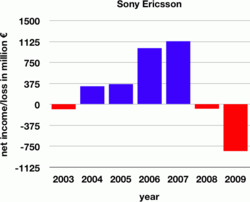 ^ "Sony changes head of troubled mobile division". Reuters. 2014. Retrieved 2018-01-02. ^ Arthur, Charles (24 February 2016). "The Q4 2015 smartphone scorecard: Apple gazes down at the rat trap".